Something for your plants or your flowers. Something to brighten up a grey day or a grey mood. 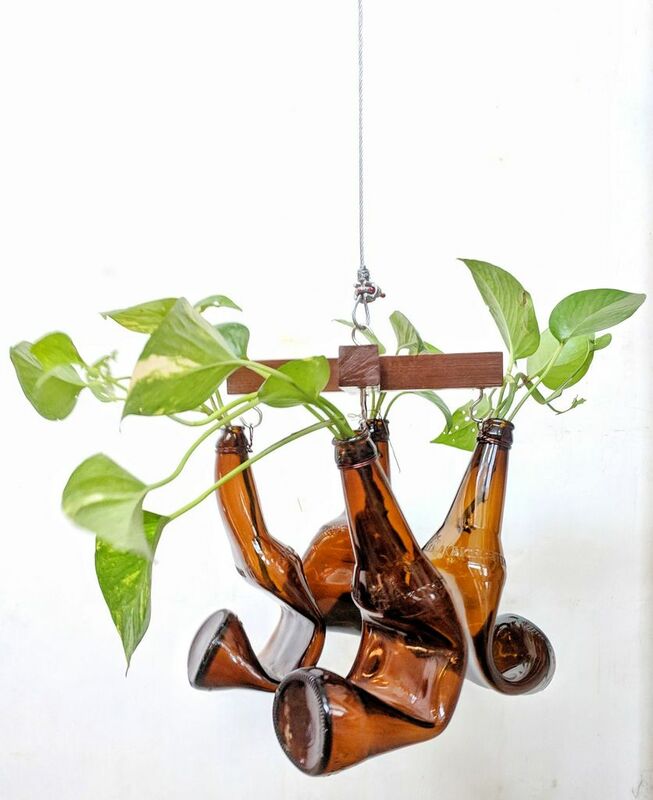 The Hanging Planter is perfect for your balcony or window. For city flats and spacious old bungalows. 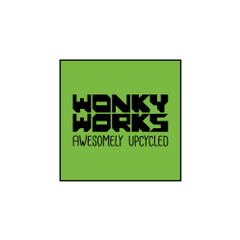 Who doesn’t like a bit of green around? 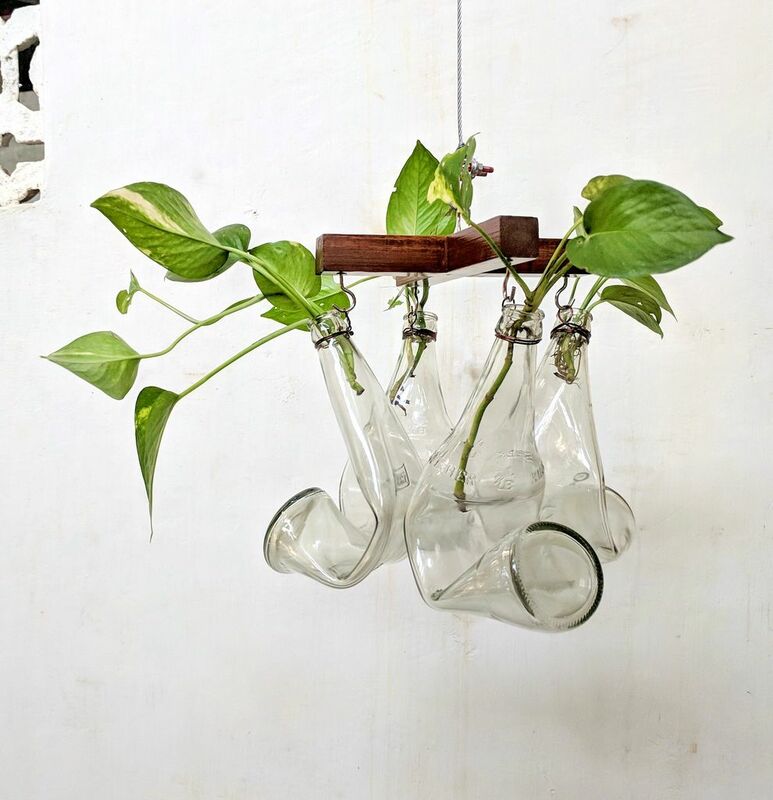 The eco-friendly Hanging Planter is great for small spaces and big. 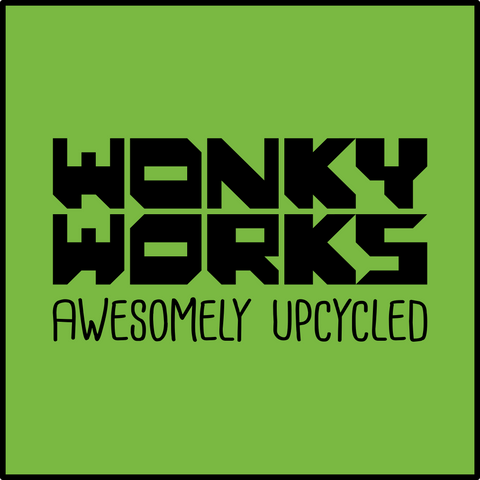 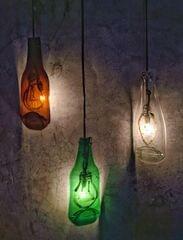 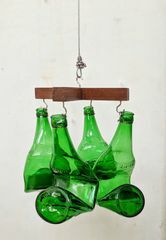 4 bent glass bottles which come with a wooden hanger to hang anywhere and say goodbye to grey! 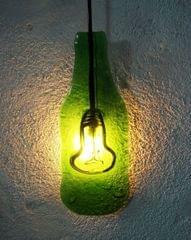 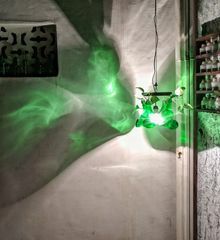 And to make it more awesome, a led bulb to seal your greenness. 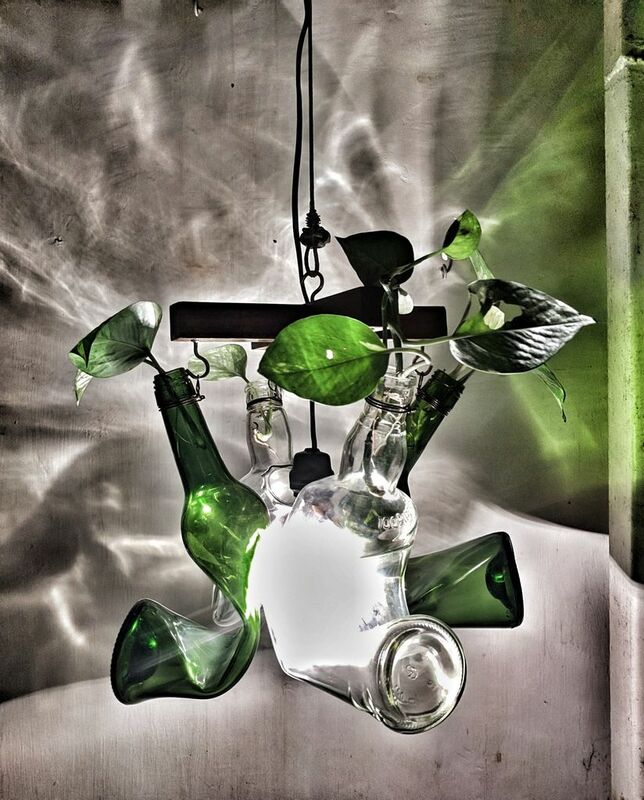 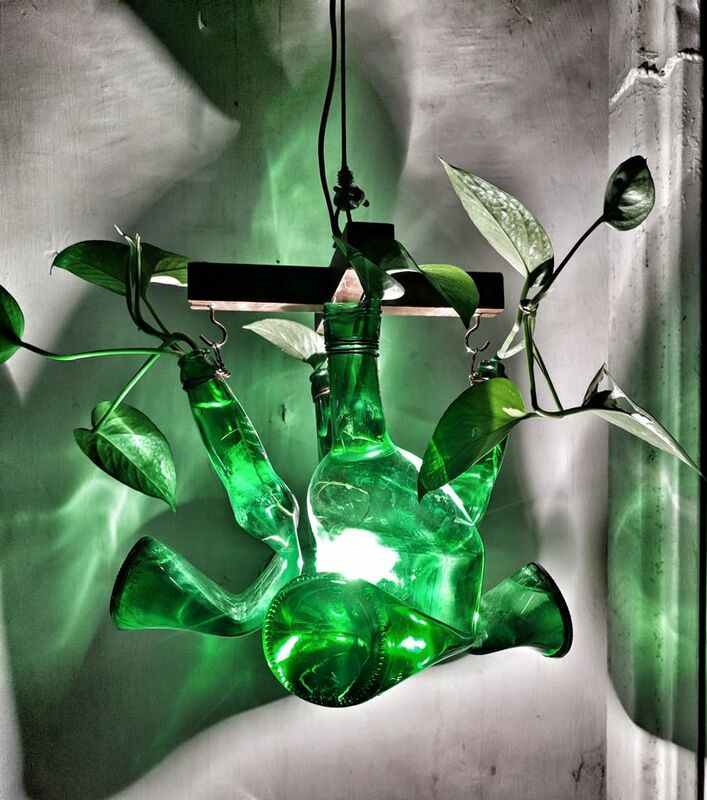 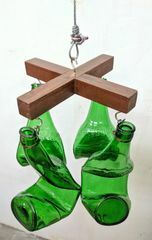 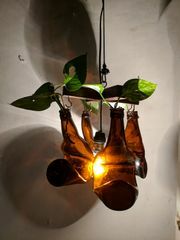 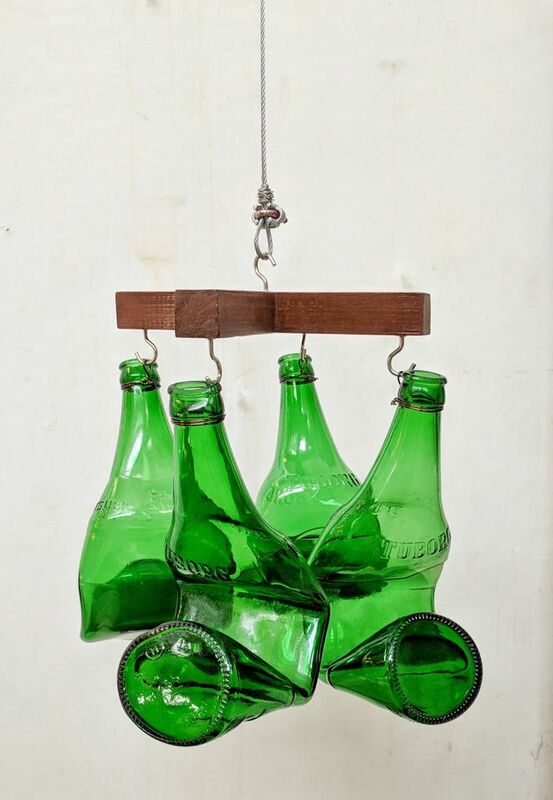 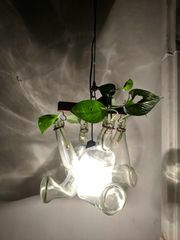 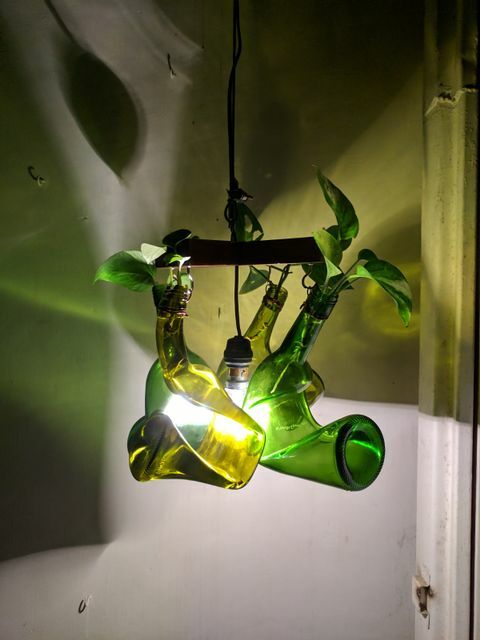 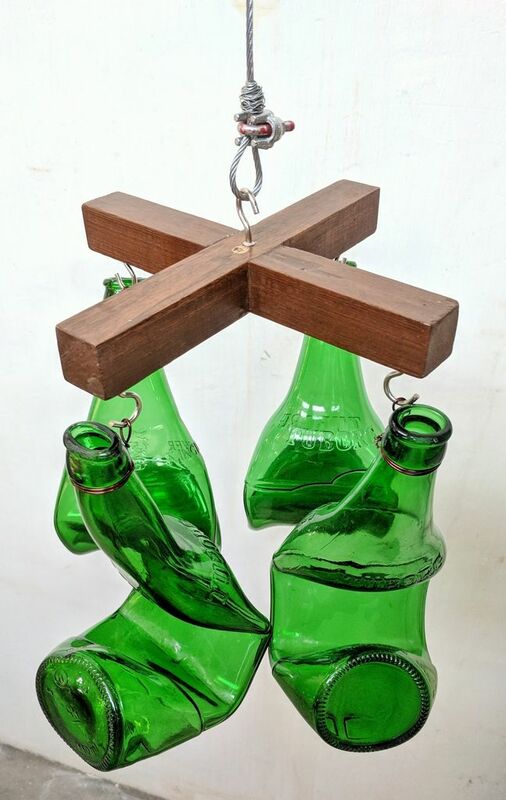 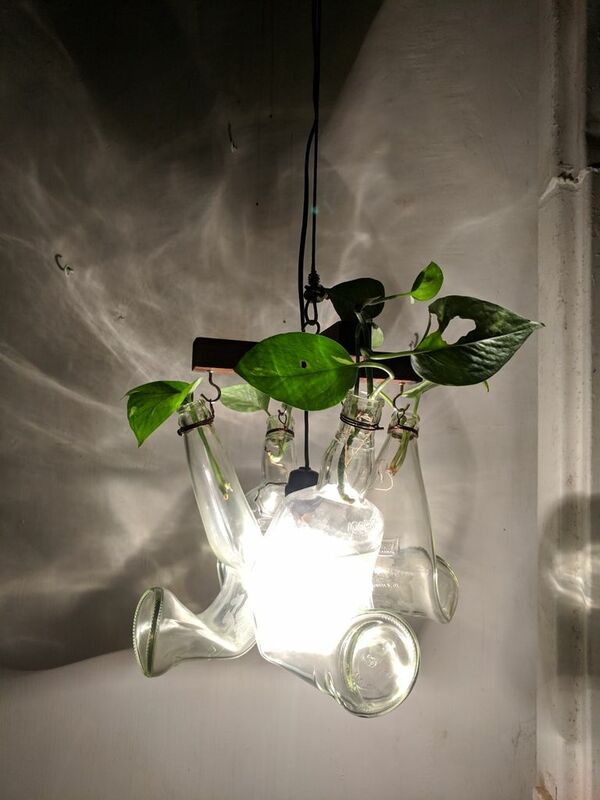 Made from upcycled glass bottles, the Hanging Planter is kiln-formed in a furnace at 700°Celsius, comes ready to hang and is fade-proof and washable.